It’s been almost 40 years since the first asbestos personal injury lawsuit was filed. Since then, asbestos litigation has become a multi-billion dollar industry for plaintiff’s attorneys and driven nearly 100 companies into bankruptcy. 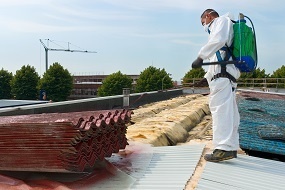 Just in the past 11 years, the number of asbestos trusts has skyrocketed from 16 to 60 according to Lawsuit Reform Alliance of New York (LRANY). Unfortunately, asbestos litigation has also become an industry rife with fraud and abuse. Evidence has been steadily mounting for several years of the rampant fraud, misconduct, and legal maneuvering routinely taking place in asbestos litigation. Plaintiffs routinely make false and inflated claims, attorneys hide evidence and game the system with conflicting stories about how their clients became ill, and unscrupulous judges hostile to big business grant huge settlements. 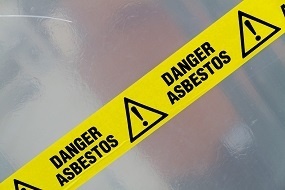 One big problem is that current laws don’t require a plaintiff in an asbestos suit to disclose whether they previously recovered money from an asbestos trust fund. So a plaintiff can collect from a trust, and then collect again from a lawsuit alleging entirely different and often conflicting facts. And since there’s no disclosure between the two systems, it’s a recipe for abuse. A 2013 review of trust claims by the Wall Street Journal found thousands of inconsistencies, including over 2,000 claimants who claimed exposure from industrial jobs prior to the age of 12. Here in New York, the stakes are especially high. Lawsuits are prevalent in New York for several reasons, including a civil justice system full of archaic statutes and loopholes that personal injury lawyers can exploit; low standards of evidence; endless private rights of action; and ineffective precautions against lawsuit abuse. The result? A legal system choked with lawsuits, lost jobs, higher healthcare costs, higher taxes, and money being taken away from legitimately injured plaintiffs. The solution? Transparency and stronger safeguards against abuse. In January, U.S. Bankruptcy Judge George R. Hodges reduced the asbestos liability of Garlock, an EnPro Industries unit that was forced into bankruptcy in 2010, by $1 billion to $125 million, citing evidence that lawyers withheld information about the plaintiffs’ exposure to other asbestos products to win bigger settlements from Garlock. In April, Justice Barbara Jaffe issued a post-trial decision following an $11 million verdict against Ford, precluding the evidence of plaintiffs’ experts, citing no established scientific connection between exposure to friction products and mesothelioma. Justice Jaffe also ruled that the plaintiff’s theory of cumulative exposure without quantifiable exposure was insufficient to establish legally sufficient asbestos exposure. On May 14th, a critical asbestos trust transparency reform bill was introduced in the New York State senate. S.5504 would bring transparency to the asbestos trust system and reduce fraud and abuse by requiring the disclosure of past, pending, and anticipated trust claims when a lawsuit is filed. Promising signs – but the defenders of the status quo won’t go quietly. According to LRANY’s annual “Power of Attorney” report released in April, plaintiffs’ lawyers, along with their lobbying groups and political action committees (PACs), spent over $3 million to influence state elected officials in 2014, a 27% increase over the previous year. Bottom line: Asbestos litigation is still a very real and potentially costly risk. According to OSHA, over a million U.S. workers are exposed to significant amounts of asbestos every day. If that includes your employees, make sure you’re taking adequate measures to protect them and your business. To find out more about protecting yourself from this toxic risk, contact the New York construction insurance experts at BNC. Better yet, request an insurance quote. © 2018 BNC Insurance Agency Inc. All rights reserved.